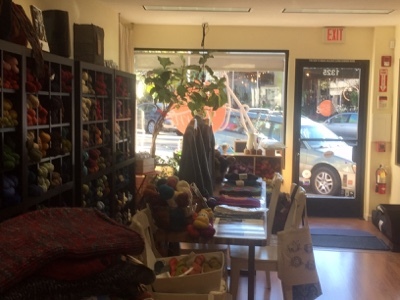 Avenue Yarns is a wonderful shop in Albany, CA with lots of tempting yarns and supplies and friendly people in the shop. I enjoyed talking to Ray and Jody. I was surprised and impressed that they had copies of the book about Shetland Wool called "Oo". This is only some of what I saw in Avenue Yarns. 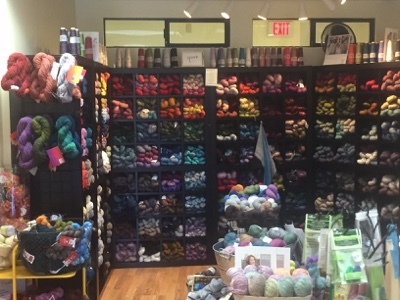 I'd be happy to pull up a chair and start knitting with the yarns on the left and work my way around the room. 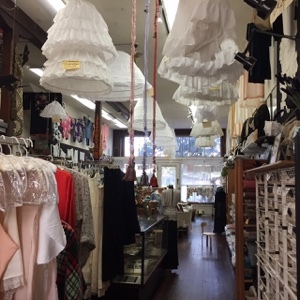 They had some gorgeous garments on display and ended up buying a pattern for a sweater for The Ropes by Graeme Knowles-Miller. 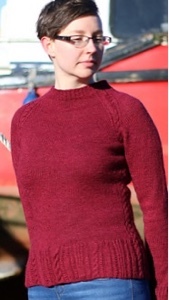 It's a fairly plain pullover with some cable accents - a practical and pretty design. If I lived in this area I would probably be visiting this shop often. 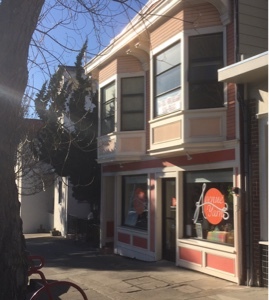 Visiting Lacis was a must while in Berkeley. I'd heard about this store for many years. 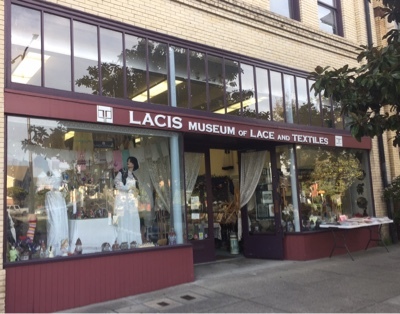 It's not a yarn store but a museum of lace and textiles as well as a retail store. If I ever find myself in need of the understructure for a hoop skirt I know where to come. They are hanging from the ceiling like lamp shades. 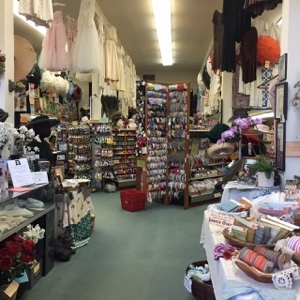 As well as lace making supplies, everything you can imagine, they have a huge selection of books for a wide variety of craft and textile interests. You can spend a lot of time just browsing in Lacis, and I did. I'm finding this shoos in the area to be varied and eclectic.